“Speaking of lobbying,” Russian Foreign Ministry spokeswoman Maria Zakharova began. A dodgy supplement supposedly ended Sidney Crosby’s career (it didn’t). Want some? Well, no, actually, we don’t, for the good reason that it never happened. Zakharova was apparently referencing a decade-old Photoshop fake appearing to show Osama bin Laden shaking hands with Hillary Clinton (the “at the White House” part comes later). The Photoshopped image had come eighth in a Hillary Clinton Photoshopping competition back in 2007 on freakingnews.com, which can only be described as a site that goes in for Photoshopping competitions. 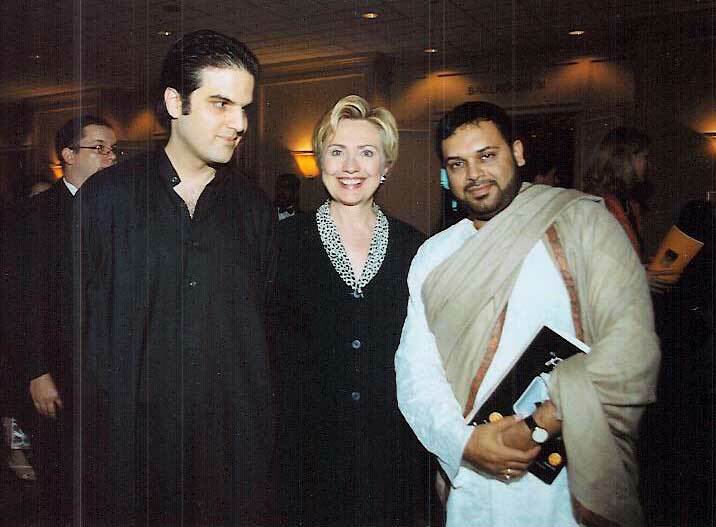 At the time, Clinton was running for the Democratic presidential nomination against an ambitious young senator named Barack Obama. … pretty obviously in a hotel. The other element was an undated image of Osama bin Laden. h/t the BBC, the Washington Post and Snopes. The @TEN_GOP Twitter account (which purported to be a Republican account from Tennessee) was a “heavyweight voice on the American far right,” the Digital Forensics Research Lab says – when Twitter pulled the plug back in July, it had over 130,000 followers. It wasn’t run from Tennessee, but from the Internet Research Agency, thousands of miles away in St. Petersburg, Russia. @TEN_GOP was much more successful at passing itself off as actually American than some other similar efforts, and was reweteeted by several people in Trump’s inner circle, which seemed to polish its credibility. DFRLab looks at its strategy in detail. Why is milk good for you? Google’s featured snippets will explain. 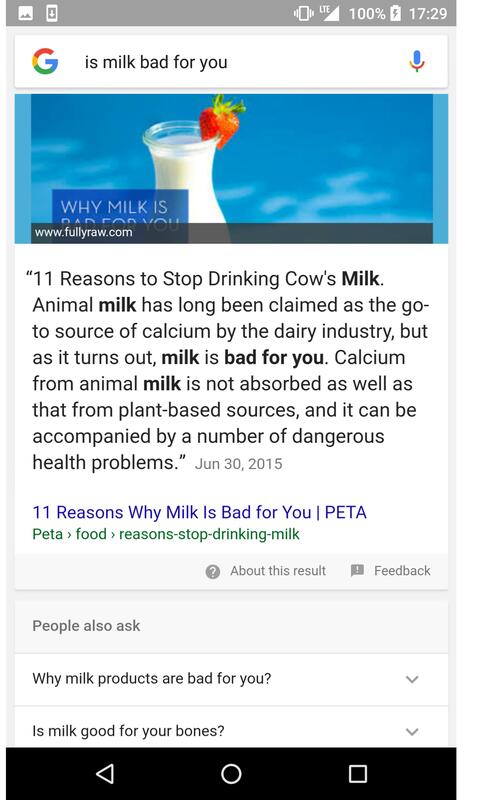 Why is milk bad for you? Google’s featured snippets will explain that, too. Is Barack Obama Muslim? Absolutely. Google’s featured snippets have the details. “Because Google’s algorithm seeks answers that closely match users’ questions, its responses often reflect how a question is framed,” the Wall Street Journal explains. “That can lead to different answers to similar questions, and contribute to confirming biases.” In other words, the algorithm is returning answers that are set up to be satisfying, rather than correct. ProPublica reporter Julia Angwin explains what it was like to be targeted by an ’email bomb,’ easily launched for minimal cost to the attacker and disruptive for her. “In recent years … a depressing realization has taken hold: The internet is fragile and easily exploited by hackers, trolls, criminals, creepy corporations and oppressive governments,” she writes. In the Guardian, Claire Wardle and Hossein Derakhshan tease out one way fake news spreads: the need for engagement and social connection. “The act of sharing is often about signalling to others that we agree with the sentiment of the message, or that even if we don’t agree, we recognise it as important and worth paying attention to. We want to feel connected to others, and these mini-performances allow us to do that.” They also question ‘fake news’ as a term, because 1) it’s been weaponized as a response to any unwelcome message (not a great argument, since that could happen to any other term) and 2) it’s not precise enough to describe what we’re trying to understand very well (which is true). The potentially enormous political forces that social media has set in motion have only been widely discussed for the last year and a half or so. The Times (the other one) talks to Renee DiResta, a tech entrepreneur who has been studying them for a lot longer than that. “I think we are at this real moment, where as a society we are asking how much responsibility these companies have toward ensuring that their platforms aren’t being gamed, and that we, as their users, aren’t being pushed toward disinformation,” she reflects. READ MORE: A dodgy supplement supposedly ended Sidney Crosby’s career (it didn’t). Want some?